Also new this year is a companion book available for families or churches that want to go even deeper into the theme of “The Call”. Our church is using it as a guide for our Summer Kidz Zone program. We will be encouraging the families in our church to participate in the Bible Reading Program, and then we will be focusing on one of the weeks of “The Call” each week at our Summer Kidz Zone program. The companion book offers ideas for games, lessons, skits, crafts, snacks, songs, and more. 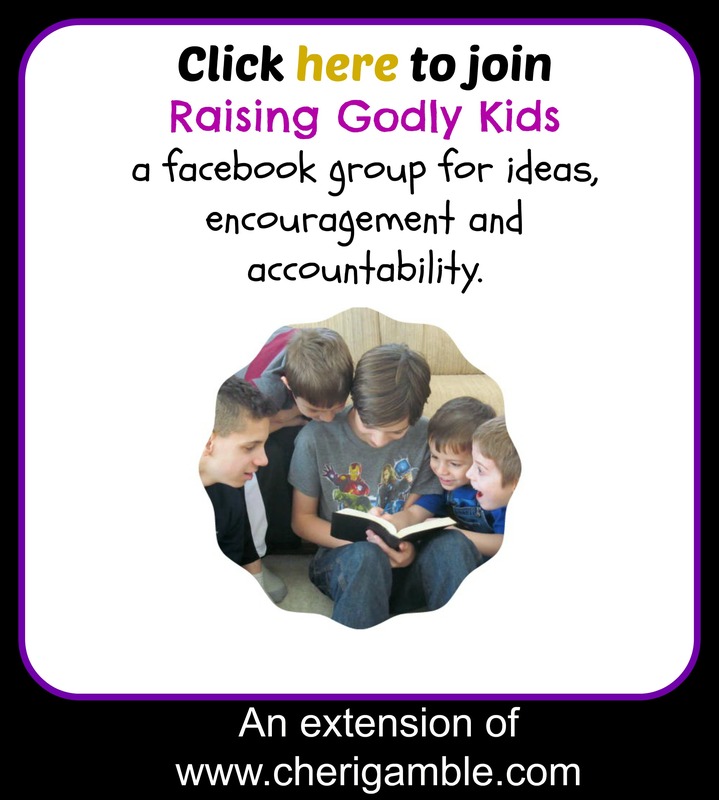 If you would like to use the book for your church or family, you can find out more information by clicking on the picture to the left. 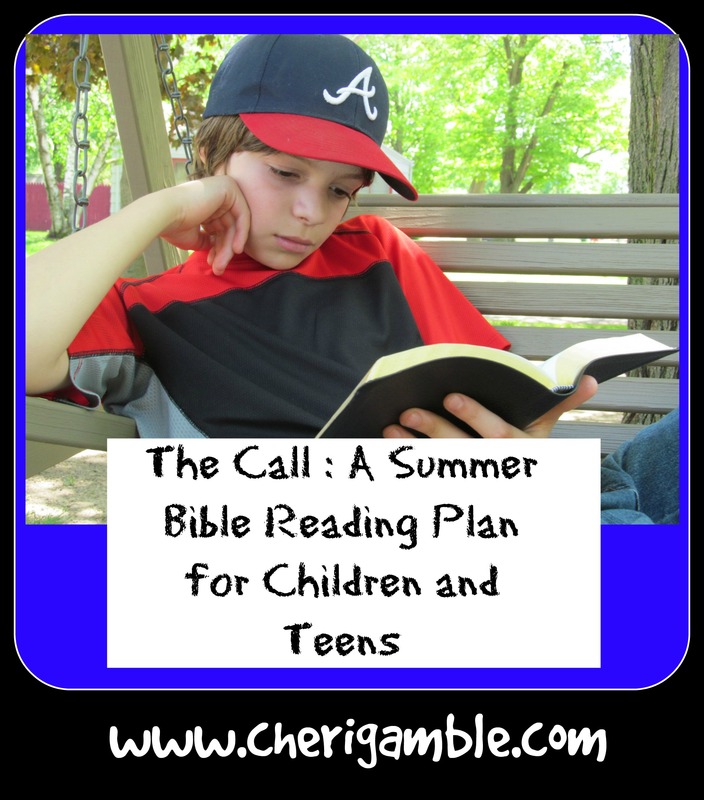 And now, here is the Summer Bible Reading Plan for Independent Readers — “The Call”. Print off the pdf for you child, or scroll down and find the entire plan right here on this page. While the plan begins on June 8, feel free to begin it and end it whenever you would like. The important thing is not WHEN you do it, but THAT you do it! Have you ever wondered if God has a special call for your life? God DOES have a call for you! His call for your life is clearly presented in Scripture, and, for the next 10 weeks, you have the opportunity to spend time in His Word to find out exactly what that call is! You will learn about 10 different calls God has given to you: The Call to Follow, The Call to Go, The Call to Tell, The Call to Testify, The Call to Be Bold, The Call to Stand, The Call to Be Different, The Call to Sacrifice, The Call to Serve and The Call to Praise. Will you take the challenge to spend time with Jesus every day? Will you read your Bible on your own, answer the questions, and pray . . . will YOU answer The Call? Before you can answer any of the other calls God has given to you, you must answer this one! God wants you to follow Him . . . wherever He leads! He wants YOU to be His special child, His disciple, His follower. Will you follow Jesus today? ___ Monday: Acts 2:37-47. Think about it: What did Peter tell the people to do? How did many of them respond? Who did Peter say this promise was for? Have you responded to this call yet? Pray about it: Ask God to help you take whatever step you need to in order to draw closer to Him today. ___ Tuesday: 2 Kings 23:1-3. Think about it: How did Josiah respond to God’s call to follow Him? What promise did Josiah make to the Lord? Do you need to make a promise to follow God today? Pray about it: Ask God to help you learn to love and obey His Word. ___ Wednesday: Matthew 4:18-22. Think about it: Who answered Jesus’s call in these verses? How did they respond? What do you think Jesus meant when He said they would be fishers of men? Pray about it: Ask God to help you be a “fisher of men” today. Ask God to put someone in your life that you can share the love of Christ with this summer. ___ Thursday: Luke 5:27-32. Think about it: How did Matthew respond to Jesus’s call? What did he leave behind? Do you have anything you need to leave behind in order to follow Jesus? Notice what Matthew did next – he introduced Jesus to his friends! Do you have any friends you need to introduce Jesus to today? Pray about it: Ask God to help you get rid of the things in your life that are keeping you from following Him. Also ask God to help you introduce Jesus to the people around you. ___ Friday: Psalm 63:1-5. Think about it: How does the Psalmist respond to the Lord? How is he seeking after God? What do you think it means to thirst for God? Are you earnestly seeking God with your whole heart? Does your soul thirst for God? Pray about it: Ask God to fill you with a thirst for Him! Ask God to help you seek after Him more than anything else in your life. What do YOU need to do to answer the call to follow Jesus in your own life? Do you need to accept Him as your Savior? Do you need to leave something behind and follow Him completely? Do you need to introduce Him to your friends? Write down one action you will take this week to answer The Call to Follow. Before Jesus returned to heaven, He gave His disciples one command – “Go”. That command is still in effect today. We need to go to everyone that needs Jesus and share the Good News. Where does God want YOU to go? ___ Monday: Matthew 28:16-20. Think about it: What command did Jesus give His disciples in these verses? What did Jesus promise them? What does this command mean to you personally? Pray about it: Ask God to show you where you people that you need to share the gospel with. Thank Him that He is always with you! ___ Tuesday: Genesis 12:1-4. Think about it: What did God tell Abram to do? What promise did God give to Abram? How did Abram respond to God’s call? What do you think was the most difficult part of this call for Abram? Pray about it: Ask God to help you to go where He wants you to go, even if it means leaving behind what is comfortable and familiar to you. ___ Wednesday: Luke 2:8-20. Think about it: Where did the angel tell the shepherds to go? Why? How did they respond? How did they respond after they saw the baby? What do you think would have happened if they had refused to go? They would have missed out on being part of a very special miracle! I wonder if we ever miss out on something special that God has planned for us simply because we refuse to go! Pray about it: Ask God to help you cheerfully tell others about the amazing things God has been doing in your life. ___ Thursday: Acts 1:8, Romans 10:11-15. Think about it: Where did Jesus tell the disciples to take the gospel? Where do you think Jesus wants you to take the gospel? What does the Bible say about the feet of those who bring good news? Why do you think this is the case? Pray about it: Ask God to help you have beautiful feet! ___ Friday: Isaiah 6:1-10. Think about it: What question did the Lord ask in these verses? Why do you think He needed someone to go for Him? Does He still need someone today? How did Isaiah respond? How will YOU respond? How can YOU answer the call to go? Do you need to go across your street to meet a neighbor, across the lunchroom to talk to a lonely student, across your town to volunteer at a homeless shelter or across the world on a short term mission trip? Write down one way that you can answer The Call to Go. God wants us to tell everyone we can about Him. He wants us to share the message of salvation with all our friends and family members. That is what the call to tell is all about. Will you answer that call this week? ___ Monday: Mark 16:14-20. Think about it: What did Jesus tell His disciples to do when they went into all the world? How did the disciples respond to this call? Have you ever told anyone about Jesus? Pray about it: Ask God to give you opportunities to tell someone else about Jesus this week. ___ Tuesday: Jeremiah 1:4-10. Think about it: What did God call Jeremiah to do? How did Jeremiah respond at first? What did God tell Jeremiah to speak? Do you think God can help you speak His words, too? How? Pray about it: Ask God to give you courage to say the words that He wants you to say to those around you. ___ Wednesday: Acts 8:25-40. Think about it: What were they preaching to the Samaritans? What happened to Philip? Who did Philip tell about Jesus and what was the response? When we tell others about Jesus, great things can happen! Pray about it: Ask God to help you tell the gospel message to your friends. ___ Thursday: Matthew 10:26-39. Think about it: What happens to those who confess Jesus before others? What about those who deny Jesus? Is it always easy to tell others about Jesus? How can these verses encourage us when it is hard? Pray about it: Ask God to help you confess Him before others. Ask Him to help you to confess Him – even when it is hard! ___ Friday: Psalm 9:1-2. Think about it: What will the Psalmist tell? Who do you think the Psalmist is telling? Who can you tell about God’s wonders today? Pray about it: Spend time today praising God for the gift of salvation. Then pray for the opportunity to tell someone else! How have you been at telling others about Jesus? Do you need to invite a friend to church, read the Bible with a friend, or share the message of salvation with one of your neighbors? God has called you to Tell others about Him . . . will you do it? Write down one way that you will answer the Call to Tell. Closely related to the Call to Tell is the Call to Testify. This call is simply telling others about what Jesus has done for you personally – in other words, sharing your testimony! How did you become a Christian and what has God been doing in your life? Get ready to testify about Him to those around you! ___ Monday: Matthew 11:1-6. Think about it: What did Jesus tell John’s disciples to report back to John? How does this relate to what Jesus wants us to tell others today? What amazing things have you seen Jesus do in your life? Pray about it: Ask God to give you an opportunity to share what He has done for you with one of your friends this week. ___ Tuesday: John 4:7-30, 39-42. Think about it: In these verses, Jesus has a discussion with a woman from Samaria. After talking with Jesus, what did she do? How did the other Samaritans respond to what she said? Pray about it: Ask God to help your friends see for themselves what Jesus can do in their lives! ___ Wednesday: Acts 4:1-31. Think about it: What did they recognize about Peter and John? How do you think they knew that these two men had been with Jesus? When they told Peter and John to stop talking about Jesus, how did Peter and John reply? Do you have that same enthusiasm for what YOU have seen and heard? Pray about it: Ask God to fill you with excitement about what He has done for you! ___ Friday: Psalm 34:1-7. Think about it: What is the testimony the Psalmist shares in these verses? What has the Lord done for you lately? Pray about it: Spend time today thanking God for how He has worked in your life. Answering the call to testify means sharing with others what God has done for you personally. Your friends are more likely to listen to you if you tell them how Jesus has changed your life! What does it mean to you that you are a Christian? What has God done in your life lately? Write down one way that you will answer the Call to Testify. God does not want us to be cowardly Christians! He promises that He will always be with us, and He calls us to live a life of BOLDNESS! When He gives us a job to do, He will give us the strength and courage to do it! Let’s take a look at what this means this week. ___ Monday: Proverbs 28:1. Think about it: What do you think it means when it says the righteous are as bold as a lion? How are lions bold? How should Christians be bold? What gives us the courage to have this type of boldness in our lives? Pray about it: Pray for God to make you as bold as a lion! ___ Tuesday: Joshua 1:1-9. Think about it: Who was taking over as the leader of the people? Do you think he had a right to be afraid? What promises did God give to him? Why do you think God told him to be strong and courageous? Does God give us the same promise today/ Pray about it: Thank God that He promises that He is with US wherever we go, too! Ask Him to help you to be strong and courageous. ___ Wednesday: 1 Samuel 17. Think about it: Who was not courageous in these verses? Why do you think this was the case? Who showed courage? Why? What made him different from everyone else? Are there any areas in your life where you need to show courage today? How can remembering that God is on your side help you? Pray about it: Pray for the courage to face your giants today! ___ Thursday: Philippians 1:12-20. Think about it: What was giving people the courage to preach about Christ? Why do you think this was the case? What does Paul hope in verse 20? Do you hope the same thing? Pray about it: Pray for Christ to be preached with great boldness in your own life. ___ Friday: Psalm 27. Think about it: Why does the Psalmist say he does not need to be afraid? How does trusting God bring courage? Have you ever experienced this in your own life? Pray about it: Ask God to help you deal with the fears that you have. Ask Him to give you peace in the middle of all the scary situations in your life. How bold are you? With God on your side, you have nothing to fear! You can be like David, attacking that giant with the full assurance that God will take care of the details. What details do you need God to take care of this week? Write down one thing you can do to answer the Call to Be Bold. Have you ever been surrounded by people who didn’t believe like you and who were pressuring you to do something that you knew was wrong? It can be scary when that happens – and it can be easy to give in to the pressure of the moment. However, God calls us to take a stand! His call on our lives involves us standing for Him, even when the rest of the world is against us. ___ Monday: Ephesians 6:10-20. Think about it: What is our struggle really against? How can remembering that help us to stand? What else does God give us to equip us to stand for Him? How can prayer also help you take a stand? Pray about it: Pray about each part of the armor of God today, asking God to help you be prepared to stand for Him in your life. ___ Tuesday: Daniel 3. Think about it: This is an amazing story about three young men who literally took a stand for God! What was at stake for them? How do you think they were able to have the courage to do the right thing when everyone – literally EVERYONE – was doing the wrong thing? How can remembering their story help you take a stand for Christ? Pray about it: Ask God to help you to stand when everyone else bows down. ___ Wednesday: Acts 6:8-15, 7:54-60. Think about it: Who took a stand in these verses? What was at stake for him? How did his situation end? God does not always answer like He did in yesterday’s Scripture, does He? But, we still need to stand for Him – even if it’s the last thing we ever do! How can remembering Stephen’s story help you take a stand for Christ? Pray about it: Ask God to help you stand, even if standing is dangerous! ___ Thursday: 2 Timothy 4:1-8. Think about it: What were Paul’s instructions to Timothy in these verses? What was Timothy called to do? Paul told Timothy to take a stand and preach the Word – even if the rest of the world doesn’t want to hear the truth anymore. How is this situation similar to what is happening in our world today? How can these verses encourage you to take a stand? Pray about it: Pray for the courage to speak the truth, even when the rest of the world does not want to hear it. Pray also today for your minister to stand for what is true in his sermons! ___ Friday: Matthew 5:13-16. Think about it: How do these verses relate to taking a stand? These verses tell you to shine your light . . . not to keep it hidden! How are you shining your light in your neighborhood? Pray about it: Pray for the courage to shine brightly for Jesus! What does taking a stand look like in your life? Does it mean you need to walk away from your friends when they are doing the wrong things? Do you need to speak kindly to the kid that everyone else teases? Perhaps you need to literally stand up and speak the truth to the people around you. Write down one way that you will answer the Call to Stand. Being a Christian is different! A Christian cannot simply blend into his surroundings and live his life the same way as everyone else. No, a Christian has different values, different actions, different goals in life. How different are you from those around you? Let’s take a look at what it means to be DIFFERENT. ___ Monday: Romans 12. Think about it: What are some of the ways a Christian is to be different according to these verses? How is the way we love one another different from the world? How is our response to those who are mean to us different from the world? How are you doing at being different? Pray about it: Ask God to transform your mind and make you more like Him. Ask Him to help you be different! ___ Tuesday: Daniel 1. Think about it: How were Daniel and his friends different from those around them? Do you think it was hard for them to make the choice to be different? How were they rewarded? Pray about it: Pray for the courage to be different, even if it means others might think you are strange. ___ Wednesday: Matthew 3:1-12. Think about it: How was John the Baptist different? How did the people respond to him and his message? I’m sure many people thought John the Baptist was a bit strange, but he had a job straight from the Lord and he obeyed! Are you willing to obey what God wants you to do, even if people might think you are a bit odd for doing it? Pray about it: Ask God to help you care less about what other people think about you and more about what you are doing to tell others about Christ. ___ Thursday: 1 Timothy 4:11-16. Think about it: How was Timothy told to be different? Timothy was told to set an example for others in several areas – what were they? How would setting an example in those areas be different for us today? How different are you from the world in those areas? Pray about it: Pray for God to help YOU set an example in speech, conduct, love, faith, and purity. Ask God to help you be DIFFERENT! ___ Friday: Psalm 1. Think about it: How are the righteous different from the wicked? How are you called to be different according to these verses? How are you doing in those areas? Pray about it: Ask God to help you delight in Him all the days of your life! How different are you? Are there areas in your life that you need to change to help you be different than the world around you? Can people tell that there is something different about you by watching the way you talk, the way you dress, the way you interact with others? Can they tell you are different by looking at the books you read, websites you visit, movies you watch, or songs you listen to? Write down one way that you can answer the Call to be Different. Being a Christian is not easy. Jesus never promised it would be! In fact, Jesus Himself said that being a Christian is very, very hard. We might have to suffer a great deal for the sake of Christ, but we need to be willing to put our relationship with God above EVERYTHING else! Let’s examine what the Call to Sacrifice is really all about. ___ Monday: Matthew 16:24-27. Think about it: What do you think Jesus meant by these verses? What does it mean to deny yourself? What does it mean to take up your cross and follow Jesus? When Jesus “took up his cross”, what came next? Are you willing to follow Jesus completely? Pray about it: Ask God to help you make Him the most important thing in your life. ___ Tuesday: Daniel 6. Think about it: What was Daniel willing to sacrifice for God? Did Daniel know that he would survive the night? Why do you think he was willing to risk losing his life for the sake of his relationship with God? Do you have that same kind of commitment to God? Pray about it: Pray for the courage to follow Jesus no matter what the cost! ___ Wednesday: Acts 16:22-40. Think about it: What happened to Paul and Silas as a result of their relationship with Jesus? How did they respond to their situation? Who was saved as a result? Are you willing to praise God even when you are in the midst of suffering and pain? Pray about it: Ask God to help you to praise Him, even in the middle of difficult situations. ___ Thursday: 2 Timothy 1:8-14. Think about it: What does Paul ask Timothy to join him in doing? Paul is honest with Timothy about his sufferings and the difficult times he is facing. Sometimes being a Christian results in great suffering. Are you willing to suffer for Jesus? Pray about it: Ask God to help you be willing to “join Paul in his suffering for the gospel” if that time should ever come in your own life. ___ Friday: Revelation 7:9-17. Think about it: Who did John see before the throne of God? Why were they there? What was the promise for them? Every day, people are dying for their faith in Christ. But when they die, they are with Jesus, and He will wipe every tear from their eyes! How can knowing this help you be prepared to sacrifice for Jesus? Pray about it: Pray for those who are being persecuted for their faith in Christ. We do not like to think about sacrifice. It is hard to think of suffering and pain. We would much rather live a happy, fun, carefree life as a Christian. However, that type of life is not guaranteed to anyone! Being a Christian is difficult. Are you willing to take up your cross and follow, even if it leads to a lion’s den? Write down one way that you will answer the Call to Sacrifice. Service should be a natural part of every Christian’s life! God wants us to serve those around us, and He set the ultimate example of service through Jesus. This week, let’s focus on what we can do to serve those around us! ___ Monday: Matthew 25:31-46. Think about it: According to these verses, how do you serve Jesus? Who are the “least of these” around you? Can you think of anyone that you can serve in this way today? Pray about it: Ask God to show you people that you can reach out to and serve this week. ___ Tuesday: 2 Kings 4:8-37. Think about it: Who served Elisha in these verses? How? How did Elisha turn around and serve her? What can you learn about serving others from these verses? Pray about it: Ask God to show you ways that you can serve your church leaders. ___ Wednesday: John 13:1-20. Think about it: How did Jesus serve His disciples in these verses? Why do you think He wanted to serve them in this way? What can you learn from Jesus’s act of service? Pray about it: Ask God to help you to be willing to serve Him – even in the yucky, disgusting jobs that nobody else wants to do! ___ Thursday: Ephesians 2:1-10. Think about it: What were we created to do? What kind of good works do you think God wants you to do for Him? Pray about it: Pray for opportunities to do good works for God this week. ___ Friday: Psalm 102:18-22. Think about it: Who are these verses written about? Verse 18 talks about a people not yet created . . . that’s US!!! These verses are specifically speaking about us! What does verse 22 tell us we should do? How can you serve the Lord today? Pray about it: Spend time fulfilling these verses in your own life – praise God today for all the great things He has done for you and ask Him to show you ways that you can serve Him! What kind of a servant are you? Are you an eager servant who is always looking for ways to serve God and others? Or are you a more reluctant servant who would rather let someone else do the dirty work? What kind of servant does God want you to be? Write one way that you will answer the Call to Serve. ___ Monday: Psalm 150. Think about it: What are some of the ways we are supposed to praise the Lord? What do you have to praise the Lord for today? Why don’t you spend some time praising the Lord right now? Pray about it: Spend your entire prayer time today praising the Lord – be specific. How long can you make your praise prayer last? ___ Tuesday: Exodus 15:1-21. Think about it: Who praised the Lord in these verses? Why? How? Why don’t you write your own song about a time when God did something great for you? Pray about it: Praise God for something He did for you. Be specific! ___ Wednesday: Luke 1:46-55. Think about it: Who praised the Lord in these verses? Why? Why don’t you spend time praising God today for how He can use YOU to do great things? Pray about it: Praise God for a time that He used you to do something special for Him. ___ Thursday: Philippians 4:4-9. Think about it: What does it mean to rejoice in the Lord? How is it possible to ALWAYS rejoice in the Lord? How can thinking about the items mentioned in verse 8 help you have an attitude of praise? Pray about it: Ask God to help you rejoice in the Lord ALWAYS! ___ Friday: Colossians 3:12-17. Think about it: What do these verses have to do with our call to praise? How can you let the Word of Christ dwell in you? How can you be filled with thankfulness? Pray about it: Pray for a continual attitude of thankfulness and the desire to do everything you do for God’s glory. Are you living a life that continually brings praise to God? He has called you to do just that! He wants your life to always glorify Him and point people to Him. How can you do that in your own life? Write down one way that you will answer the Call to Praise. Congratulations! You have finished the Summer Bible Reading Plan! Be sure you do something special to celebrate! Is there a place where these readers will be able to share with each other what they read and think? That is a very good idea. I don’t have anything set up like that now, but you’ve got me thinking . . . if you have any suggestions for the best way to do this, let me know! Maybe some or other forum site. In such a way the daily reading talks can stay together. Or a facebook page – closed like.this- daily readings can also stay together. I know with such a vatiety of people arriving there can be difficulty with what children are exposed to. I know nothing about building sites and such. There is a game our son plays on line (sorry for advertising them) horse isle 1. There is strickt rules, it is years he is playing it and there has never been an unpleasant incident. I have no idea how they accomplish that.